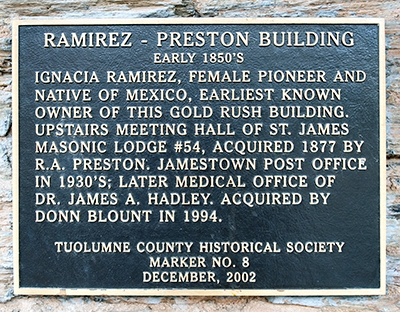 Ignacia Ramirez, female pioneer and native of Mexico, earliest known owner of this Gold Rush building. Upstairs meeting hall of St. James Masonic Lodge #54, acquired 1877 by R. A. Preston. Jamestown Post Office in 1930's; later medical office of Dr. James A. Hadley. 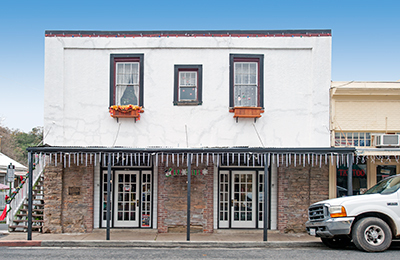 Acquired by Donn Blount in 1994.